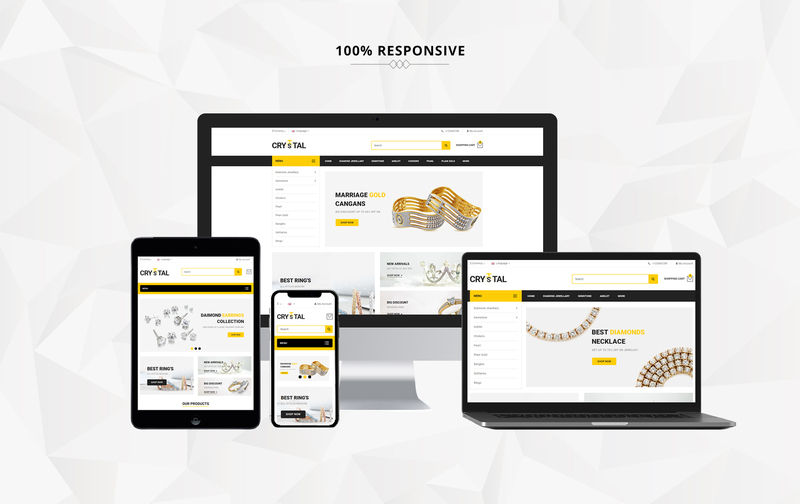 Jewella – Jewelry OpenCart Template has a stunningly clean, modern, and responsive design, making your future online jewelry store look cool and confident on any devices. There are various built-in product page layout options. You can also make the main menu in your store as convenient as possible, by adding the necessary categories and subcategories of the items. The theme provides all the necessary e-commerce arsenal so that you can easily set up your online store. Crystal Jewelry OpenCart Template is created for selling jewelry, decorative items, brooches, rings, necklaces, earrings, bracelets, pendants, diamond, gems, gemstones, amber, coral, jade, emerald, ruby, sapphire, items made from gold, silver, platinum for goldsmith, jewelry designers. G. Bags – Handbag Clean OpenCart Template is developed by an experienced team of designers, looks clean, yet stylish. It is a perfect choice for a bag store, wallet store or any other luggage or luxury accessories store. Due to the OpenCart e-commerce plugin set, it has a cart, wishlist and compares features. It also has pre-built pages you can fill with products or edit as you wish. Moreover, you need no coding skills to change it. This is why we present you a G. Bags Opencart Theme. Montevo – Jewelry Stores OpenCart Template is professional responsive opencart theme built to create modern and powerful e-commerce website. Montevo opencart theme is seo optimized and friendly with most popular search engines. Montevo theme configuration gives the control with flexible settings, fast loading, very fast support and much more. Montevo theme included OneClick (Quickstart) Package to get a replication of theme demo store and installed on your website with same as demo content, graphics, theme settings & layouts etc. With Tourister Store – OpenCart template you can do it via blog, newsletter feature and social options. Moreover, this website theme has all you need for a profitable e-commerce website. It has a bright design that creates an atmosphere of the holiday. Professionally made structure combined with pre-built pages and website search provide your customers with an intuitive search. You can present your customers with tourist outfit, equipment and everything else they need for travel. Moreover, multilingual feature and currency and various currency options provide your clients with the comfortable shopping experience. Gifts.com – Presents OpenCart Template is designed and developed to deliver a festive mood on your holiday gifts site. 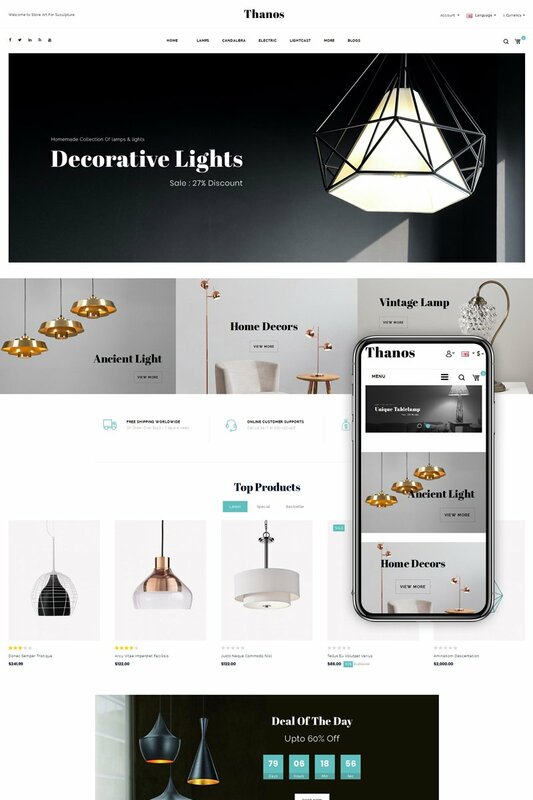 This is a well-coded and fully responsive eCommerce theme that comes loaded with a series of pages, layout elements, modules, widgets, and other solutions that are needed to get your eCommerce project up and running as quickly as possible. In addition to a usable drop-down menu, the theme includes advanced search and smart product filters that let online buyers find the needed products effortlessly. Responsive design may let your business site appear equally perfect on display screen of any specific laptop or mobile device. Top Look – Fashion OpenCart Template is eye-catchy and very creative website template. Designed by professionals, it has visual effects and elements you can use to decorate your website. It is simple to edit and you need no coding skills. It was developed specially for clothing shops and fashion related businesses. It suits fashion stores, clothing stores, department stores, and dress shops. You can fill with content and products many pre-built pages. Built-in social option will help you to keep in touch with customers and promote your products. Fleekie – Kids Fashion OpenCart Template is perfect for kids clothing stores. You can present your products in the best possible way by images and visual effects. It has a very attractive clean design you can edit in a simple manner. You can also blog and use social options. Or fill many pre-built pages with images and content. Fleekie provides your customers with simple navigation and comfortable shopping. For millions of people nowadays it is easier to do their shopping via the internet. Caps & Hats – OpenCart Template is a beautiful and top-notch tool for selling hats and accessories online. The design was created with fashion and clothing in mind: it has a big gallery with advanced navigation, sliders, product view options and various product lists, multiple currencies and languages, private login, smooth checkout experience, and many more features. Also, there are working Search and Contact forms, customizable headers and footers, social media buttons, and a big set of premade pages. The theme is very easy to set up and launch. Beauty & Jewelry Responsive OpenCart Theme will keep your customers clicking on your store endlessly with a wide range of jewelries and beauty items. What you are looking for to equip your amazing business online is now available in this theme. Homepage with mega menu, full-with slider and customizable static blocs are displayed neatly and attractively so that jewels are arranged in the catchiest manner. Kids Mart Shop OpenCart Template is professional minimalist responsive OpenCart Theme built to create modern powerful e-commerce web-site. KidsMart OpenCart theme is SEO optimized to be friendly with most popular search engines. In addition, Theme Configuration gives the control with flexible settings, fast loading, fast support and much more also Including OneClick (QuickStart) to get a replication of our demo theme installed on your website with same content, graphics, theme settings & layouts etc. Fashion World OpenCart Template provides an awesome ecommerce and admin experience. It will help you attract audience to your online fashion shop and convert them into happy customers. You will sell clothes and outfit items with better results if you choose a template that is SEO-optimized full featured like this one. Cutting-edge product display options like grids, lists, labels, ratings, and discounted prices make this theme a powerful marketing platform. An easy one-page checkout will be a nice bonus to your customers.